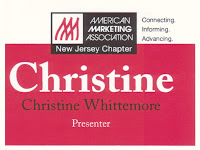 I really enjoyed my 5/10/11 NJ American Marketing Association (NJ AMA) Presentation: Managing Your Reputation in a Social World. I had been looking forward to meeting Natalie Piccotti, vice-president of programming for NJ AMA, in person given our intense exchanges of emails, phone calls and tweets. However, I didn't expect to see Mary Ann Blackburn whom I first met on May 25th, 2010 at Social Media Club North Jersey: Customer Feedback In a Social World. And, I didn't expect to meet so many interesting marketers who brought such diverse perspectives to this discussion on social media marketing and social reputation management - from pharmaceuticals, to non-profit, branding, associations, finance, medical and a few more in-between. Here are the slides from my presentation Managing Your Reputation in a Social World! If you're interested in some of the articles I refer to, you'll find the links in this post titled Highlights from the MarketingProfs online seminar about Managing Your Social Reputation. Age of Conversation 3: It's Time to Get Busy! (The Age of Conversation) . 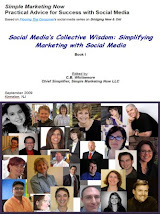 For more perspective on this global project to which I contributed a chapter to each volume, read Blog Action Day: Water and AOC3, AOC2: Don't Be Myopic About Social Media! and The Age of Conversation: The Conversation Age Enabled. Finally, here is a link to my *timely* Content Marketing Institute article titled 6 Ways to Manage Your Online Reputation. Thank you, Sandra Ghezzi and Andre Paquin, for inviting me to speak. 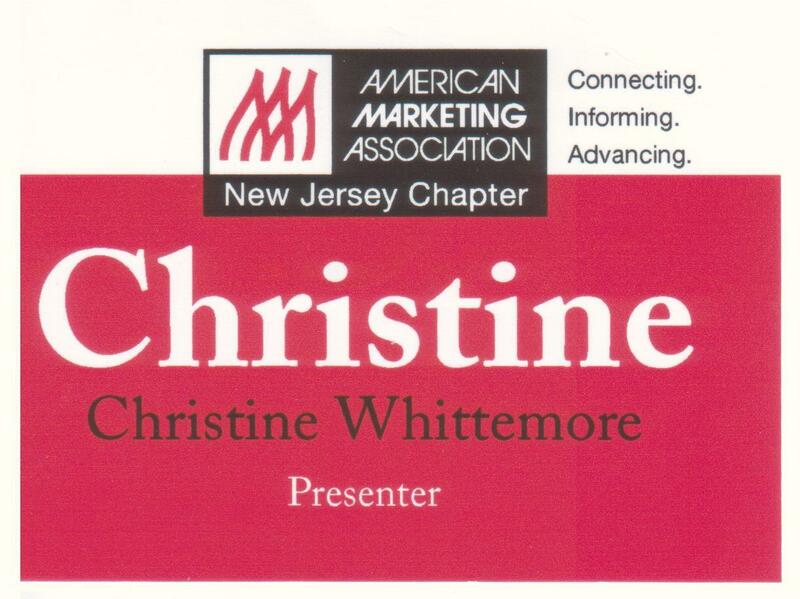 Thank you to all the New Jersey chapter of the American Marketing Association (AMA) members and guests who attended the 5/10/11 presentation for your warm welcome and wonderful questions. I really enjoyed myself! If you have questions relating to Managing Your Reputation in a Social World, please don't hesitate to ask.